Although we just featured awesome new posters for Iron Man 2, those aren't the only new posters to arrive today. Warner Bros has finally debuted (only 46 days before it release) the final official poster for Sylvain White's The Losers based on the Vertigo comic series. 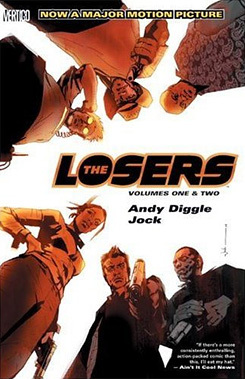 I was actually hoping they'd do exactly this - put in the real-life actors into the original cover that they've used for The Losers since it was a comic. I really dig this poster and it's perfect for this movie, giving us a sense of the tone and style and a good look at all of the actors in this. I also added the Comic-Con poster and the original graphic novel cover below for reference. 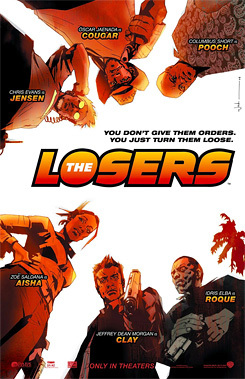 Originally a Special Forces team seconded to the CIA in the 90s, the Losers were betrayed by their handler, Max, and left for dead following the conclusion of their operation. Eager for revenge and the opportunity to remove their names from a secret CIA death list, the Losers regroup and conduct covert operations against the CIA and its interests, uncovering startling operations spearheaded by the enigmatic villain Max, whose influence within the CIA and US government is unparalleled. 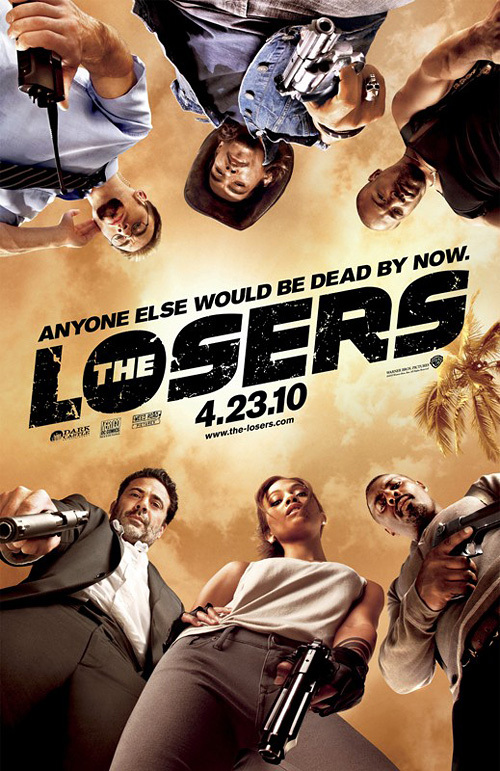 The Losers is directed by Sylvain White and will hit theaters on April 23rd, 2010 this year. Still look as good as the original trailer? I'll be watching it. Trailer's doesnt really look all that, but I'll end up checking it out. poster looks tight. zoe looks tight. there is just something SO meh about sedlana,or whatever her name is. #5 that's insane, She was practically the only reason Avatar was good and she was awesome in Star Trek. I really like the third poster. Great poster! Love the comic but am worried they've ott'd this one! Zoe makes even that simple pose hot. Twispious is nuts, she is smokin'. Where the hell is Jason Patric in this? He's the only reason I'd even think about seeing this. Pffft This is gonna beat Jonah Hex..I got a bad feeling about that movie.